A court has found a Norwich gas fitter guilty of faulty workmanship which resulted in a gas explosion in which two people narrowly escaped with their lives. Back in December 2010, a gas explosion caused a 50 year-old woman and her 18-year old daughter to be taken to hospital with serious burns after a gas explosion resulted in the roof being torn off their home in Wrentham, Suffolk. The blast on Christmas Eve occurred just two days after self-employed Norwich gas fitter James Hampson had visited the property to install a new boiler and pipework. Ipswich Crown Court heard how the blast had been ignited when homeowner Lynn Brown had switched on the kettle. The investigation by a Health and Safety Executive (HSE) discovered that the joint between the emergency control valve on the boiler and a pipe had not been tightened adequately which caused a gas leak. As well as the injuries to Mrs Brown and her daughter, the explosion caused severe structural damage to the property Mr Hampson has been ordered to pay £10,000 in costs and has received an eight month suspended prison service as a consequence of what has been deemed to be “unsafe work”. He pleaded guilty to two counts of contravening health and safety regulations and has also been ordered to undertake 250 hours of community service. 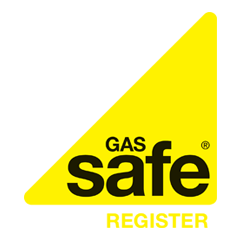 HSE Inspector, Malcolm Crowther commented: “Working with gas appliances is specialised and potentially very dangerous. In this case, Mr Hampson’s unsafe work cost a mother and daughter their health and their home. It could have cost them their lives.